--We’re right in the middle of this year’s summer music fest season. I saw you at the “RISING SUN ROCK FESTIVAL” the other day; it was incredible. Taka: Oh really? I’m glad you liked it. --The entire audience, all the way to the back of the field, were oddly excited. --Is there a difference in feeling between performing at a one-man live and at a festival? T: One difference from a one-man live is that, at a festival, you know that the people there didn’t necessarily come to see you. They’re just waiting to see who’s next. But because of that, you’re on the offensive and always make the best music that you can. --But at the same time, you gave the impression that your performance was fun. T: It was a dream come true. To be able to stand on the main stage at “RISING SUN.” But now that we’ve done it, we have the sense that we want to try more things that we haven’t tried before. Now that we’ve been able to play at “RISING SUN,” we want to soak in experiences that are even more overwhelming. T: We’re probably never going to be satisfied. We’ve come to understand that now. --How did the A-side of your new single, “The Beginning,” come to be? T: To tell the truth, we already had this song when we created our album “Zankyou Reference.” The demo was basically done, we just didn’t have lyrics. But I was wrong about what would end up on the album. T: This song hits more closely to the mark than anything I’ve written up to now. So I didn’t want it to be just another song on the album. T: Yeah. It was also chosen as a movie tie-in [for “Rurouni Kenshin”]. The star of the movie, Satou Takeru, was at the same management company as me that year, and we got to be close friends. It makes me happy to be able to provide the theme song for the movie he’s working so hard on. Because of that, this song has a slightly different feeling from our others; I wanted to put 100% into expressing it. 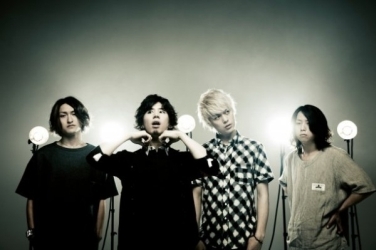 --So when it was decided that ONE OK ROCK would provide the theme song, did that influence the song itself? T: Yes, substantially. As I wrote the lyrics, I wanted to incorporate the feelings I had upon seeing the movie. --But isn’t it difficult to tie in the images from a movie? T: No, even the supervisor said that he liked what we did with it. I was ecstatic. Normally they say “Please write this kind of song” or “Please write that kind of song.” But this time they told us from the beginning that they wanted a “ONE OK ROCK” sound, so we wanted to give them the best theme song that we possibly could. --But I would think that doing this kind of big tie-in would have it’s difficult parts. T: There will probably be people who say negative things about it. (laugh) And even if that kind of person listens to it...I think we tried to create a song that you can’t speak ill of. T: First of all, we’ve had the piano on there since the demo. We always write our songs with guitar, but for this song to be created with and retain the piano is really big for us. --Did you take down the piano melody in the band sound? T: Yes, I thought that it would be good for the piano and vocals to form the foundation of the song. You don’t need the guitars or bass or drums. Having the piano and vocals there from the first draft all the way to the production version, we were able to create a good balance between them. --You mean that the band was able to do its best with it in the arrangement? T: Yes, we were able to make the best of both the band arrangement as well as the expression of the piano itself. First of all, more than anything else, this song is incredibly simple. We probably don’t use more than four chords. But we create a narrative structure within that simplicity. It’s not just that there are guitar riffs coming into the song, it’s the octaves and arpeggios. And power chords. --I see what you mean, now that you mention it. T: So with this timing and that kind of shape, we were able to create a song we’re satisfied with. It was like achieving the goal we’ve been reaching for all this time. --It’s not just that it has catchy riffs, but it’s hard to pin down what you want to say about it. Despite that, it has enough strength for repeated listens, like how you can just keep eating dried squid [without being able to explain why it’s good]. T: Exactly. You can listen to it over and over. We really like that. Usually you want to put more flourishes in the music. But that this song could reach completeness without having to do that made us happy. --But even though the song is simple, there are a lot of parts that required vocal power. Was it difficult to record? T: I set the bar pretty high for myself. So even though I worked hard and did my best, it took a lot of time. It seemed like recording would never end. I think I’ve probably sung this song through a hundred times. --What level were you aiming for? T: Conquest. Of that song. T: In terms of our sound, I don’t play drums or guitar or piano; I have to decide whether it’s a good idea to trust my intuition. But in terms of our finished sound, I record as though I’m battling the music. If I’m unable to conquer the song - to come out with something I think is cool - then we’re not done. It’s only after I’ve beaten the song that you can say it’s done. So I’ll face off with the song for however long it takes to beat it. --So what did you think of this song when you first heard it played back? T: It’ll be pretty detailed; are you sure you want to hear this? T: Well, there are two distinct hooks, each with a different beginning. Usually I think that having two hooks just diminishes the impact of the second, but I kept searching for a way for the second hook to be just as cool as the first. And, this is super detailed, but before the hook there’s a guitar phrase where it goes “kee!” and that signals the start of the second hook. When the vocals enter at that point, I really need to put explosive power into my voice, and I don’t know how many times we had to redo it. We were very calculating about that part. T: And then in terms of the lyrics, I was thinking about how well I sang them and how complex they are. --Ah, so you weren’t thinking about what would make it better. T: Yes, the pitch was off, but I thought that the “flavor” was good. So my voice was good, and the song was good. This way... How do I say it? The way you sing to bring out the humanity in it... I had to redo the opening and the hook over and over. Also, we noticed that when the opening transitions into the A-melody there’s this “Western music” quality that remains. --So you choose which hurdles to overcome based on the direction you want to go.